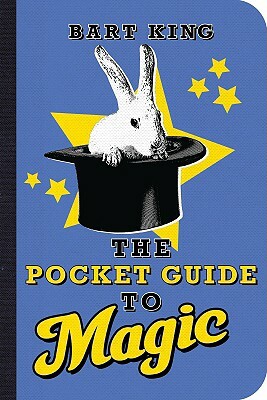 Abracadabra Hocus-pocus Allakazam Happis crappis Say it together now--magic Take a peek inside the magician's secret wardrobe to discover the tricks of the trade, the tales of derring-do, and the people who made the magic happen. Demystifying the mystical is the popular, raucous, ready-to-trick-his-own-mother Bart King But what, you may ask, can Bart do? He can show the ways of the most secretive magicians in the world. Improve street cred with sneaky tricks. Discover how some of the most popular illusions were created. Saw a woman in half and then swallow the sword. Bart King is the author of The Big Book of Boy Stuff, The Big Book of Girl Stuff, The Pocket Guide to Brilliance, The Pocket Guide to Mischief, The Pocket Guide to Games, The Pocket Guide to Boy Stuff, and The Pocket Guide to Girl Stuff. Bart lives in Portland, Oregon, where he stupefies his neighbors with his famous Balducci Levitation.